The saga of Tricia Barr’s Fireheart Series begins in her award-winning novel WYNDE, an epic tale launching a young woman’s adventure to fulfill her destiny amid the challenges of a family in conflict and the political upheaval of a planet on the brink of war. 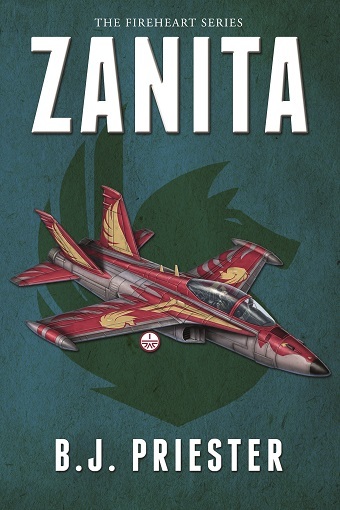 ZANITA expands the saga, combining science fiction action-adventure, political intrigue, and romance in a thrilling tale of the origins of Prime’s great power couple. Two decades before a violent alien enemy’s attack sparks interplanetary war, the human inhabitants of Prime face a potential global catastrophe of their own making. Will an unlikely alliance between a famous racer and an idealistic diplomat be enough to save the day? The aerial racing competition called Airspar is the most popular sport on the planet, and Daemyn Wynde is one of its best pilots. From his headquarters among the soaring skyscrapers of high-tech Hyj-gon, he strives to launch his slowly growing aerospace company in his free time. 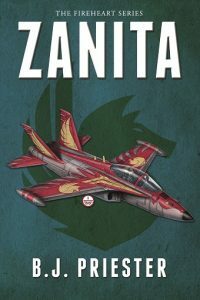 Halfway around the world on the long-ignored continent of Loorriri, Utara Fireheart and her peers in the Prime Diplomatic Service wage a daily struggle to prevent the residents of the Future Cities from suffering the consequences of decaying urban infrastructure and a bankrupt government unable to assist them. As conditions grow increasingly inhospitable under the impassive logic of the artificial intelligences tasked with city management, some residents flee into the lawless wilderness and Utara crosses the oceans to demand help from the rest of Prime. Their lives intersect in a chance meeting at the site of the season’s final Airspar match. Amid the escalating Future Cities crisis, Utara discovers an unexpected source of support for her cause and Daemyn realizes an opportunity to repay a childhood debt. Yet a humanitarian relief mission quickly becomes much more when the AIs begin to execute a series of ruthless massacres that threaten to unleash devastation across all of Prime. Together Daemyn and Utara must save as many people as they can and find a way to stop the AIs before it’s too late.